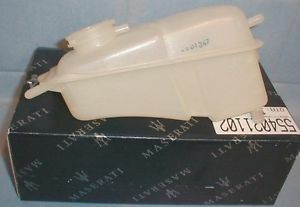 Expantion tank Maserati Biturbo, 424, 224, Ghibli etc. Expantion tank Maserati, Biturbo, Ghibli, 224, 424 etc. Waterpump suitable for all V8 engines, QP1, QP3, Mexico, Ghibli, Indy, Kyalami,Bora, Khamsin etc. Waterpump (refurbished) suitable Maserati Biturbo, 3200, V8 engines.